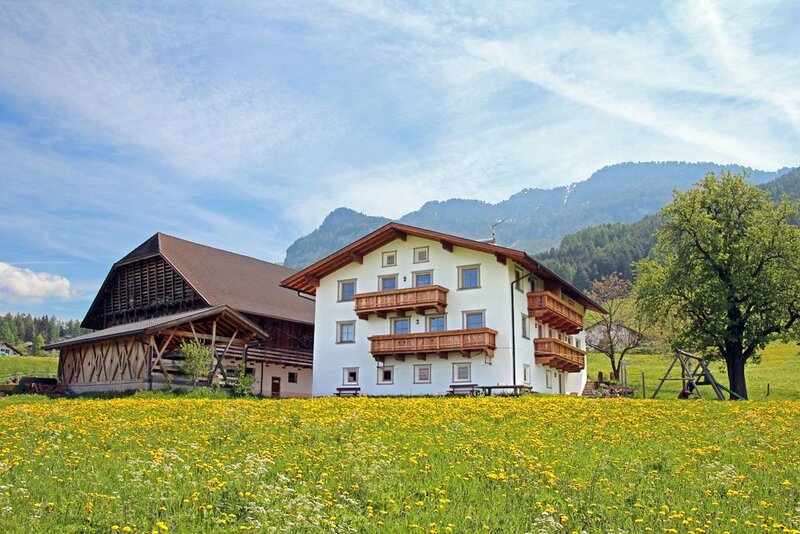 The Niglutsch farm of Rabanser family offers apartments with an idyllic atmosphere, near Castelrotto, at the bottom of the Siusi Alp. Take part to the typical cattle activities of the farm with cows. In winter the animals are at the farm in Castelrotto, while in summer we bring them to the Siusi Alp. The farm lays along a slightly ascending slope, East of Castelrotto. The farm is isolated and from there you can enjoy a wonderful view over the Sciliar, Castelrotto, the surrounding farms and the forest above. 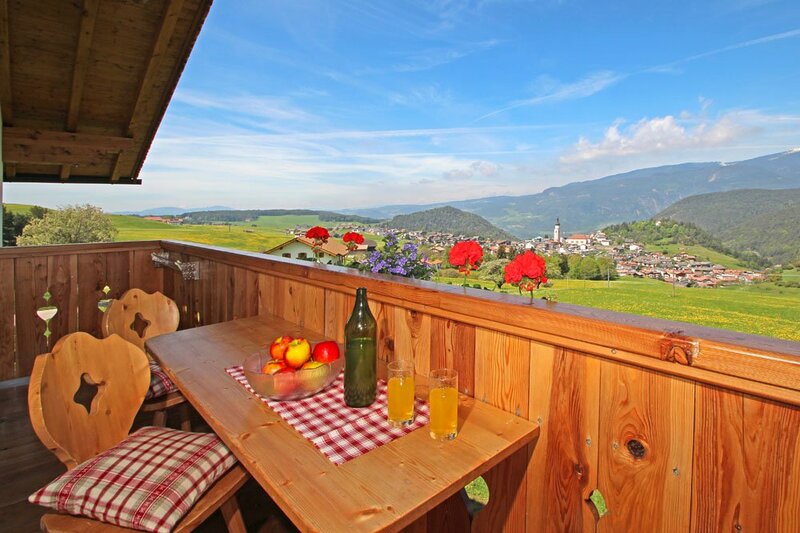 Our apartments are ideal both in summer and in winter for couples and families who want to feel free and independent. In the apartments there is actually a completely equipped kitchen area with microwave, water boiler and coffee machine. As it is typical for the farms in this region, there is also a herbs garden, where in summer foodies and hobby cookers can provide themselves with fresh herbal ingredients for their recipes. The apartments have got a furnished balcony. Every panorama view has got its own fascination. For the little guests we have a playground with seesaw, slide, children cable car and playhouse. The meadow invites to relax. Moreover we offer a fresh bread service. From autumn till spring, when the cows are at the farm, there is always fresh milk. 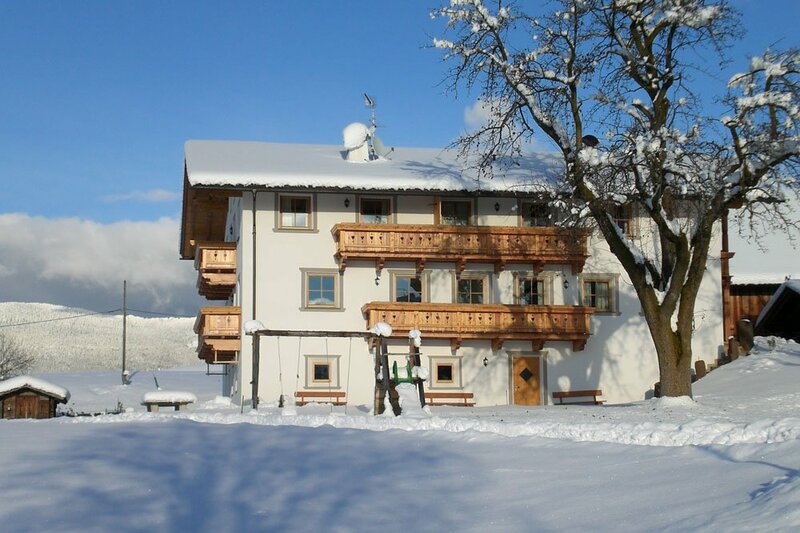 In winter our farm is the starting point for alpine and winter sport activities on the Siusi Alp and in the Gardena Valley nearby. In 5 minutes by car you can reach the Siusi Alp orbit, which will bring you to the high plateau. In winter you can leave your winter equipment in our warmed storeroom. Of course we have also a skishoes warmer, so that they stay always dry and maintain their shape. In summer bike lovers can leave their mountain bikes in the storeroom, where there is also enough place eventually also for baby buggies. The free parking place is covered and protects your car also in winter. 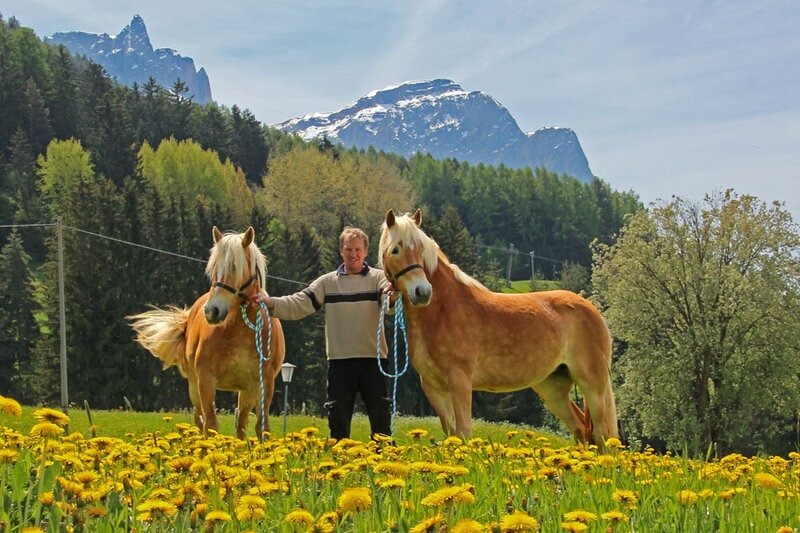 We are pretty proud of our Haflinger horses, with which we organize also tours by carriage or sleigh for our guests on the Siusi Alp. The horse carriage of the farmer Richard Rabanser is in Compaccio, on the Siusi Alp. Haflinger are very strong horses that are farmed in this region and are typical for a horse farm, such as the Niglutsch one.